When designing a large-sized cast product for a multi-spindled machine tool, such as a multi-turret type multi-tasking machine, we must first determine its thermal deformations by the finite element method (FEM) in order to ensure that the structure is designed with high thermal rigidity. Casting technology has progressed so much that we can now form more complicated internal structures and produce much thinner and lighter cast products. Moreover, since designing cast products has become much faster, higher-efficiency analytical techniques are also required. Such analytical techniques are operated by designers where analyses and design are executed interchangeably. In this study, we compared the experimental results to the analytical results in order to evaluate the employed analytical technique based on an actual analysis of a multi-tasking machine bed with a few different rib structures. K. Nakanishi, M. Sawada, and J. Sakamoto, “Influence of Heat in Multi-Tasking Machine Bed and its Analytical Technique,” Int. J. Automation Technol., Vol.12, No.2, pp. 254-261, 2018. Technical Committee of The Japan Machine Tool Builders’ Association, “Design studies of the machine tool,” Japan Machine Tool Builder’s Association, pp. 12-19, 2007. Y. Itoh, “Use studies of the machine tool,” Japan Machine Tool Builder’s Association, pp. 43-60, 2014. N. Nishiwaki, S. Hori, M. Tsutsumi, and M. Kunieda, “Thermal Deformation of Machine Tools Caused by Temperature Variations in Machine Shops,” Trans. of the Japan Society of Mechanical Engineers C, Vol.53, No.495, pp. 2408-2413, 1987. C. Brecher and A. Wissmann, “Compensation of Thermo-Dependent Machine Tool Deformations Due to Spindle Load Based on Reduced Modeling Effort,” Int. J. Automation Technology, Vol.5, No.5, pp. 679-687, 2011. H. Shinno, H. Yoshioka, and H. Sawano, “A Framework for Systematizing Machine Tool Engineering,” Int. J. Automation Technology, Vol.7, No.6, pp. 760-768, 2013. M. Nakaminami, T. Tokuma, T. Moriwaki, and K. Nakamoto, “Optimal Structure Design Methodology for Compound Multiaxis Machine Tools – I,” Int. J. Automation Technology, Vol.1, No.2, pp. 78-86, 2007. M. Nakaminami, T. Tokuma, K. Matsumoto, S. Sakashita, T. Moriwaki, and K. Nakamoto, “Optimal Structure Design Methodology for Compound Multiaxis Machine Tools – II,” Int. J. Automation Technology, Vol.1, No.2, pp. 87-93, 2007. M. Nakaminami, T. Tokuma, K. Matsumoto, S. Sakashita, T. Moriwaki, and K. Nakamoto, “Optimal Structure Design Methodology for Compound Multiaxis Machine Tools-III,” Int. J. Automation Technology, Vol.2, No.1, pp. 70-77, 2008. H. Tachiya, H. Hirata, T. Ueno, Y. Kaneko, K. Nakagaki, and Y. Ishino, “Evaluation of and Compensation for Thermal Deformation in a Compact CNC Lathe,” Int. J. Automation Technology, Vol.6, No.2, pp. 137-146, 2012. 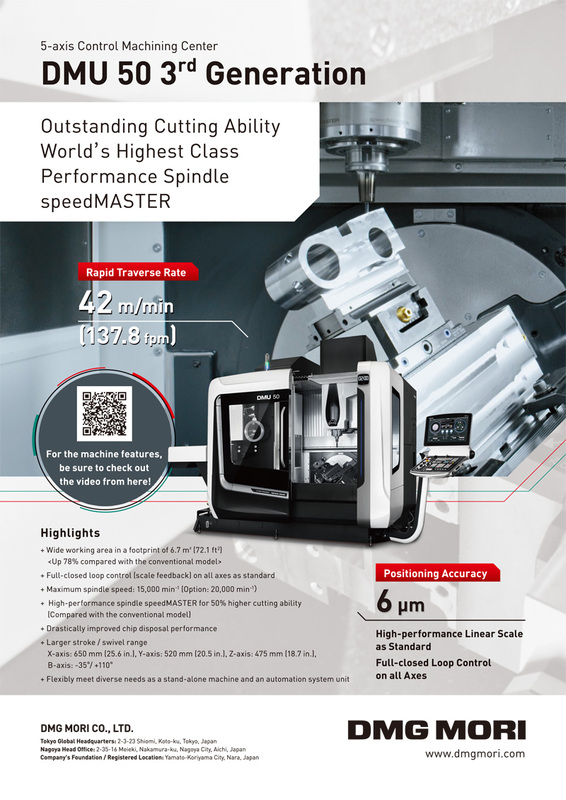 H. Mizuguchi, M. Iwakiri, Y. Ido, and H. Shinno, “A Real-Time Measuring Method of Spindle Center Transition for NC Lathe,” Int. J. Automation Technology, Vol.2, No.6, pp. 486-491, 2008. M. Zimmermanna, S. Schindlerb, P. Steinmannb, and J. C. Auricha, “Compensation of thermo-mechanically induced workpiece and tool deformations during dry turning,” Procedia CIRP 46, pp. 31-34, 2016. S. Hori and N. Nishiwaki, “Study on Thermal Deformation of Machine Tool Structure Estimated by Its Basic Characteristics,” Trans. of the Japan Society of Mechanical Engineers C, Vol.64, No.621, pp. 1836-1841, 1998. A. Galanta, M. Beitelschmidtb, and K. Großmanna, “Fast High-Resolution FE-based Simulation of Thermo-Elastic Behaviour of Machine Tool Structures,” Procedia CIRP 46, pp. 627-630, 2016. S. Shimizu, K. Kikumori, and H. Sakamoto, “Treatment of Thermal Contact Characteristics of Joint in FEM Analysis,” 2003 JSPE Spring Meeting, Session ID: E38, 2003. M. Fukuki, K. Joguchi, H. Makihara, F. Suzumura, and G. Katayama, “Study on Estimating Thermal Deformation of Machine Tools by FEM Analysis: Applied to the machine model and machine tools,” The Japan Society of Mechanical Engineers, Vol.2010, No.48, pp. 255-256, 2010. M. Yamanaka, M. Miyauchi, and K. Inoue, “Optimum Design of Machine Tools Bed Using Neural Networks,” J. of the Japan Society for Precision Engineering, Supplement, Contributed papers, Vol.71, No.7, pp. 868-872, 2005. S. Kohda, K. Masamoto, and M. Kumagai, “Thermal Deformation Measures for Machine Tools,” Proc. of JSPE Semestrial Meeting 2005, S(0), p. 450, 2005. I. Tanabe and K. Takada, “Thermal Deformation of Machine Tool Structures Using Resin Concrete (2nd Report, Thermal Behaviour of Concrete Bed of Machine Tool in Fluctuating Ambient Temperature),” Trans. of the Japan Society of Mechanical Engineers C, Vol.58, No.549, pp. 1655-1661, 1992. Y. Yoshida and F. Honda, “Thermal Deformation of Machine Toll Structure: A Bed of Lathe,” Trans. of the Japan Society of Mechanical Engineers, Vol.32, No.237, pp. 803-810, 1966. K. Uehara and F. Obata, “Thermal Deformation of an Unsymmetrical Structure,” JSME annual meeting 2006, No.4, pp. 105-106, 2006. M. Yoshimura, “Analysis of Evaluative Parameters for Static and Vibrational Characteristics at the Fundamental Design Stage of Machine Tool Structure,” J. of the Japan Society for Precision Engineering, Vol.48, No.4, pp. 492-497, 1982. T. Sata, N. Okubo, and Y. Takeuchi, “Computer System for Analysis of Machine Tool Structure (1st Report) Static and Dynamic Rigidity Analysis,” J. of the Japan Society of Precision Engineering, Vol.42, No.502, pp. 955-960, 1976. N. Okubo, Y. Takeuchi, and T. Sata, “Computer System for Analysis of Machine Tool Structure (3rd Report) Application to Structure Design,” J. of the Japan Society of Precision Engineering, Vol.43, No.506, pp. 174-180, 1977.